Jumping Out of an Airplane? Wear This. 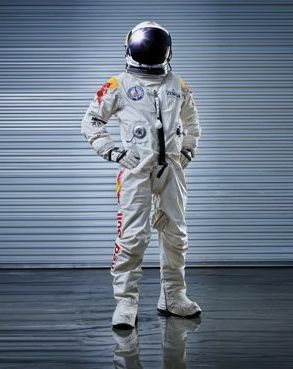 Actually, this is the super-high-tech suit Felix Baumgartner will wear when he jumps from a helium balloon from 23 miles above earth. Commercial planes fly 6 miles to not quite 8 miles up. Chump change to skydiver/base jumper/daredevil Baumgartner. PopSci has all the details on the tricked-out suit including special valves to regulate pressure and pump Baumgartner full of pure oxygen; a g-force meter with a safety valve that releases a parachute if the skydiver starts to spin out, a voice transmitter and receiver and hi-def video camera (presumably so he can get this baby on YouTube right away); and a heated face shield that will keep his breath from crystallizing when temperatures hit 70 below. The four-layer suite has a top layer of Nomex, which acts as a fire retardant and an insulator. 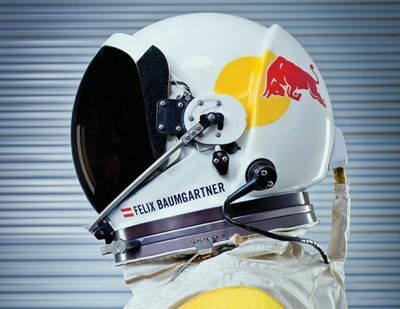 Red Bull is sponsoring the suit and the jump, which is supposed to happen sometime this year. Baumgartner is nuts. But his suit is cool.